Wakeup to Wellness is an endeavor to educate and guide you to optimal and lasting health by improving lifestyle habits and nutritional well being. Inspiring and Transforming lives through a HOLISTIC, NATURAL and BALANCED approach to WELLNESS. EDUCATE: On how to nourish the body according to its inherent needs and make informed and conscious choices of eating the 'Right Food' (What to eat) at the 'Right Time' (When to eat), and in the 'Right Combination' (How to eat). EMPOWER: Clients to listen to the body's innate wisdom, tune to the signals that flow in and out of the body and learn to respond to them. HEAL: By restoring faith in the body and trusting its ability for self repair. When one is Empowered, Inspired and Educated, this is when you can truly achieve all that you desire and feel Incredible. "Give people a cure & they will be healed for a day, teach them the cause & they will be healthy for a lifetime"
"The healing power is inherent in the body. When disease occurs, the body makes every effort to regain ease, that is health." Our body is amazing and has only ONE goal i.e. to keep us in PERFECT HEALTH. It keeps giving us signals in the form of 'Symptoms' (these can range from mild issues such as weight problems, cravings, intolerances, deficiencies, cold/ coughs, fever, headaches, acidity, low energy to more severe diagnosis' such as inflammation, hormone imbalances, hypertension, blood sugar imbalances, etc.) which is the body's way of telling us that some aspect of our health is out of balance and a change is needed. Instead of listening to the wisdom of our body we all too often do the opposite - not listen. 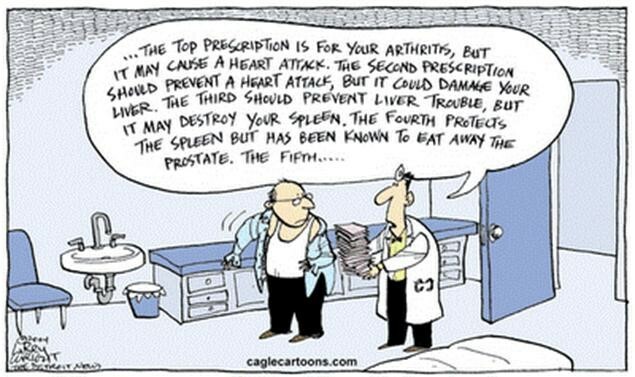 Instead we prefer to listen to doctors, and want to immediately alleviate any discomfort by popping pills believing that if the symptom does not persist, we are CURED. However, we fail to understand the root cause and why the problem occurred in the first place. Hence, the problem either keeps recurring or manifests into something different only to be suppressed by stronger doses. With this attitude of neglecting our body's voice, we undermine the body's capacity to heal on its own and the cycle goes on endlessly. It is no surprise why so many chronic illnesses are on the rise today, as medicine cannot cure these illnesses but temporarily shut down the body's voice and only suppress our symptoms. Rather than trying to medicate the symptoms away our goal should be to find the underlying source of any problem and make lifestyle changes accordingly, so that any issue can be prevented from escalating and optimal health can be restored. The body is a perfect machine that is designed to heal when we live in accordance with the laws of Nature and eat according to our genetic blueprint. Food is the building block of life and the first step in Health and Nutrition. 'We are what we eat’ so it is important to be aware and fuel our body with nourishing and wholesome nutrient rich food and watch your health, body and mind flourish. Human body can recover from all imbalances by reclaiming a healthy diet and lifestyle, thereby reaching a state of harmony and balance.